The fall is a wonderful season but it tests your creativity in order to be able to keep up with the latest trends. Having to protect ourselves from wind and cold does not mean we can’t be stylish at the same time. Indeed, we should be able to protect from the bad weather but not on the expense of style. Therefore in this respect, here are some coat and jacket models that will keep you warm and will make you look chic at the same time. Indeed, this type of jacket it’s timeless, it seems it will never go out of style. It is very comfortable and it can offer you a great protection for the fall wind and cold. Not to mention that it is very cool. 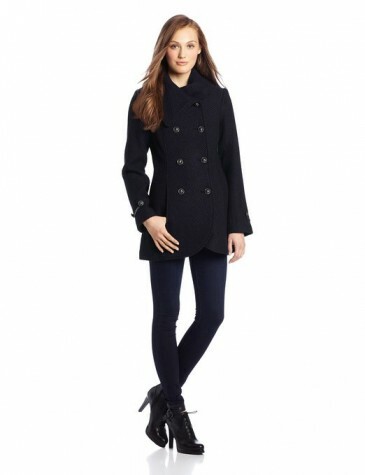 This type of coat is an excellent option for a fall day because it has a high versatility. The double breasted wool coat allows you to create interesting outfit combos no matter if you are wearing jeans, skirts or even leggings. Very practical and cozy, this type of jacket looks great and keeps you warm. It also look very chic, and it is able to get you out of the crowd if you put it in the right combination. 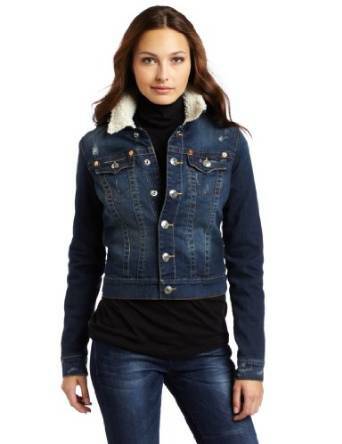 The Sherpa denim jacket looks very casual, it has a removable collar and goes perfect with a relaxed style. As every denim it is very durable and easy to match with many outfit pieces. If you want a very versatile look, sportive and very cool, you should choose a bomber jacket. These jackets were worn by rapper and hip-hop fans, but in time they manage to conquer the market. Can be matched perfectly with jeans or leggings. Also works great in many occasions during the day and in the evenings also.